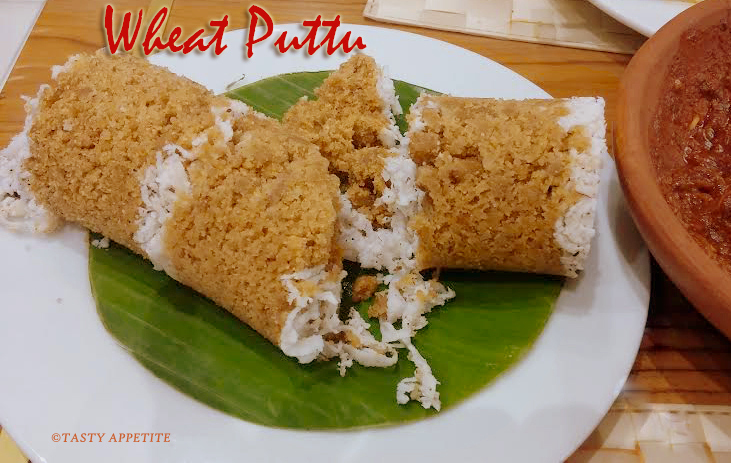 Today’s special post is a easy, tasty and very healthy Wheat Puttu. It’s a absolutely nutritious breakfast or snack recipe. It’s a South Indian favorite breakfast and it is made with whole wheat flour and shredded coconuts. We used to relish this traditional dish at weekends along with kadalai curry. The same can be made with rice flour also. 1. Add wheat flour to the frying pan. 2. Dry roast in low flame for about 5 mins. 3. Once the wheat flour lets out nice aroma, turn off flame. 4. Transfer the roasted wheat flour to mixing bowl. 5. Sprinkle salt and warm water and fluff gently. 6. Add water little by little so that the flour texture comes to crumbly texture. 7. Now add this to the blender and give 1 or 2 blitz/pulse to get smooth and soft texture. 8. Your puttu flour is ready. 9. The flour should be lump free. 10. Grease the puttu mould and add a tbsp of freshly grated coconut and top it with crumbly flour till half of the mould. 11. Then repeat until coconut comes on top of the mould. 12. Steam cook for 10 mins or until cooked well. 14. Transfer carefully the cooked puttu to the mixing bowl. 15. 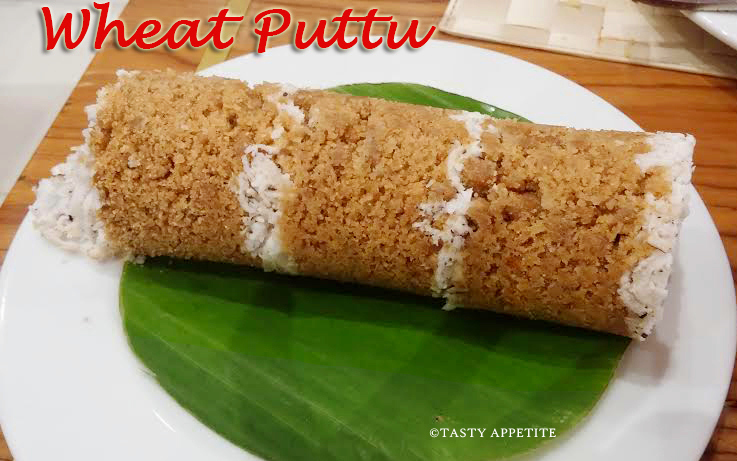 Healthy delicious Wheat Puttu is ready. 16. Relish hot with any spicy curry, kadalai curry or any non-veg curry of your choice. 17. My kids love to taste puttu with sugar and ghee.